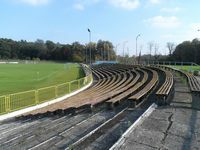 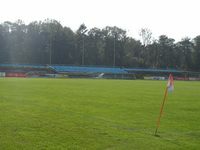 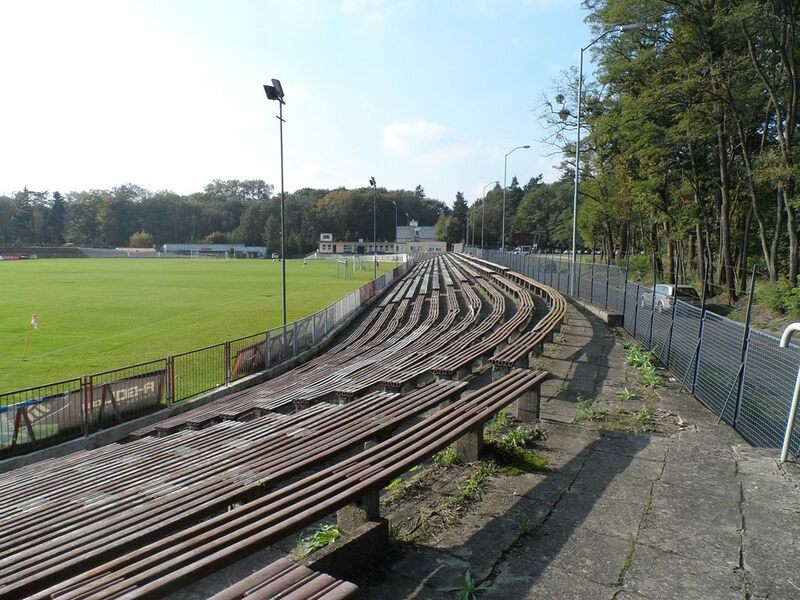 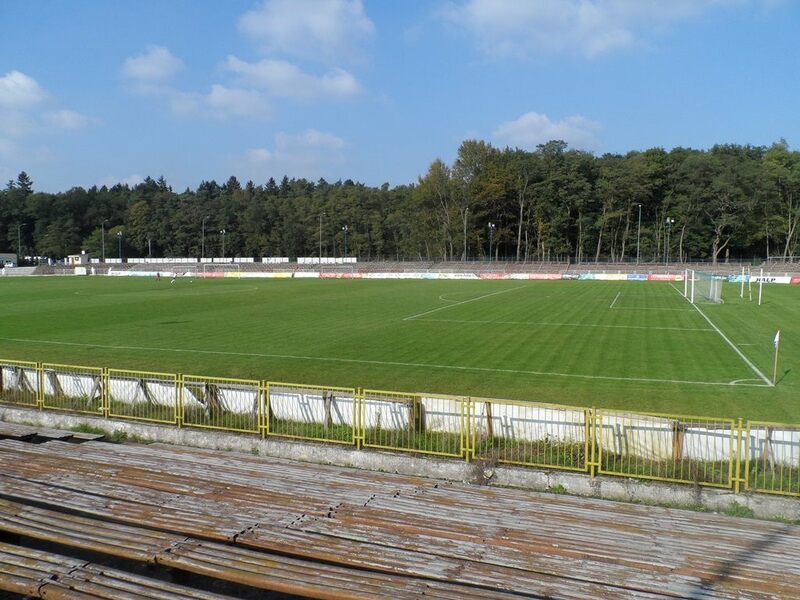 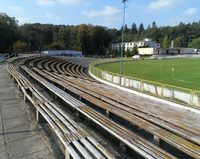 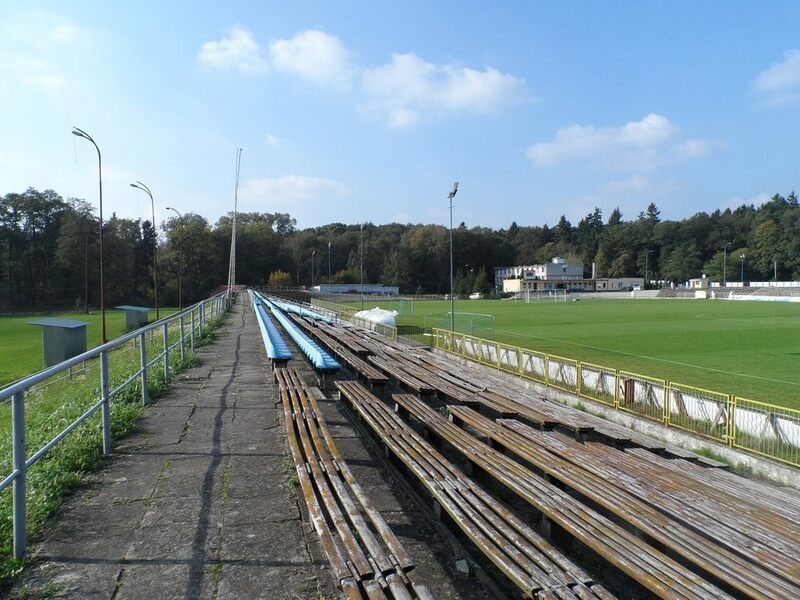 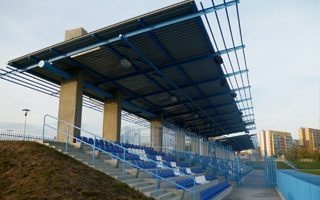 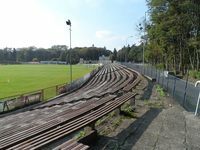 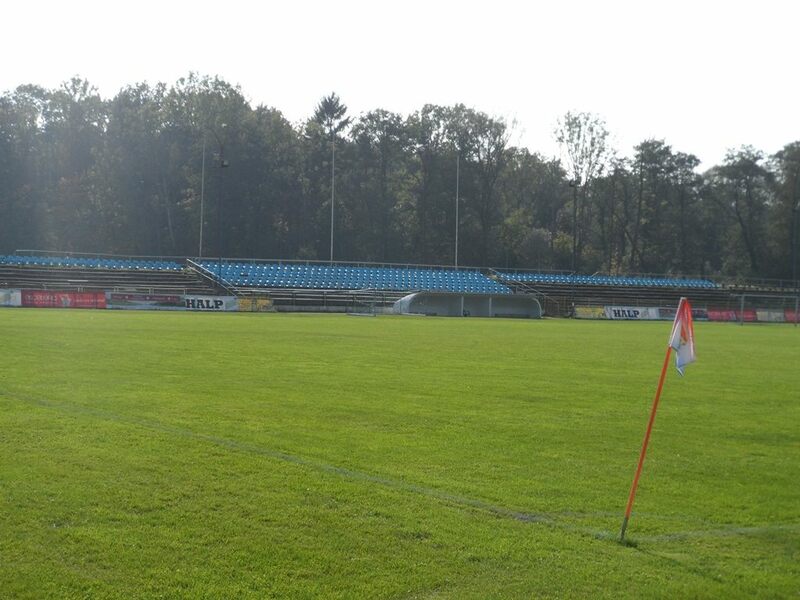 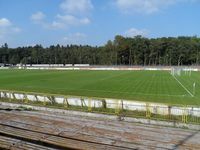 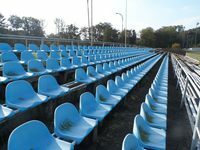 For many years this was the largest stadium in Stettin, though located nearly outside the city – in a forested seclusion north-west of the centre. 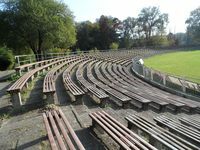 Upon opening in 1923 it was used primarily by the German club Stettiner SC and could hold up to 32,000 people (standing). Among notable events was an international game between Germany and Estonia in 1935. 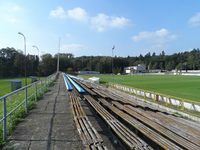 Historical sources also suggest some of the Belrin Olympians were training here before the tournament, not long before the WWII broke out. 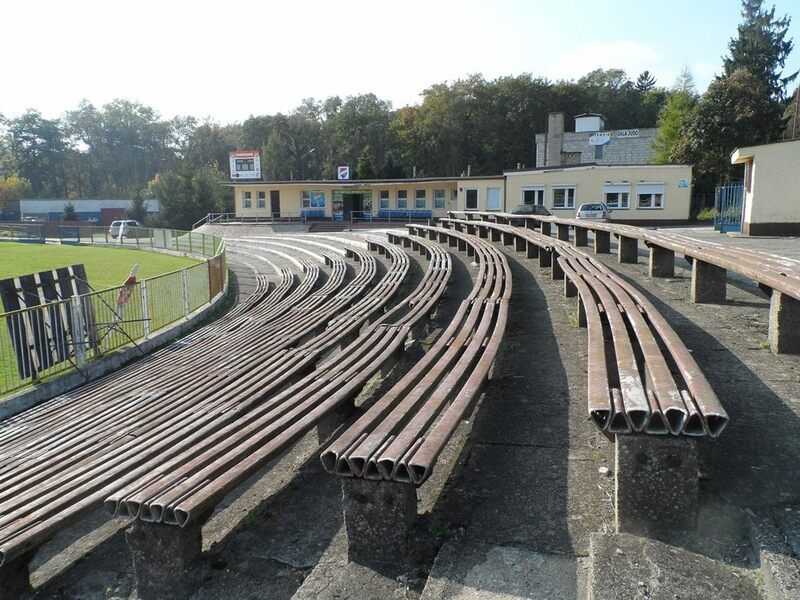 After the war both Stettin and the stadium were returned to Poland. 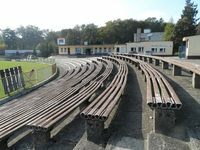 The building was transferred to Arkonia sports club, who remain owners to date. 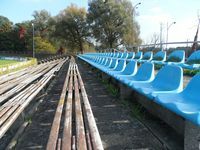 Over time capacity has been decreasing, first to roughly 20,000 after the western curve was demolished to make way for new infrastructure. 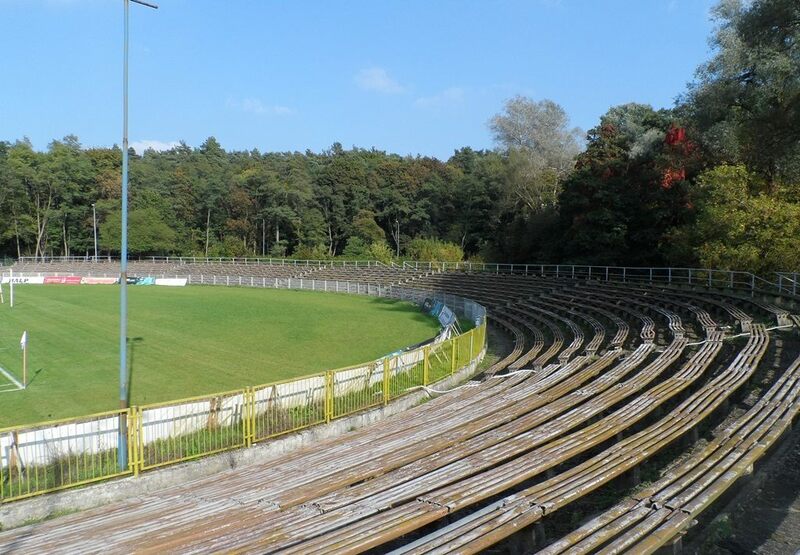 Later to some 10,000, which is now declared by the club as official capacity. 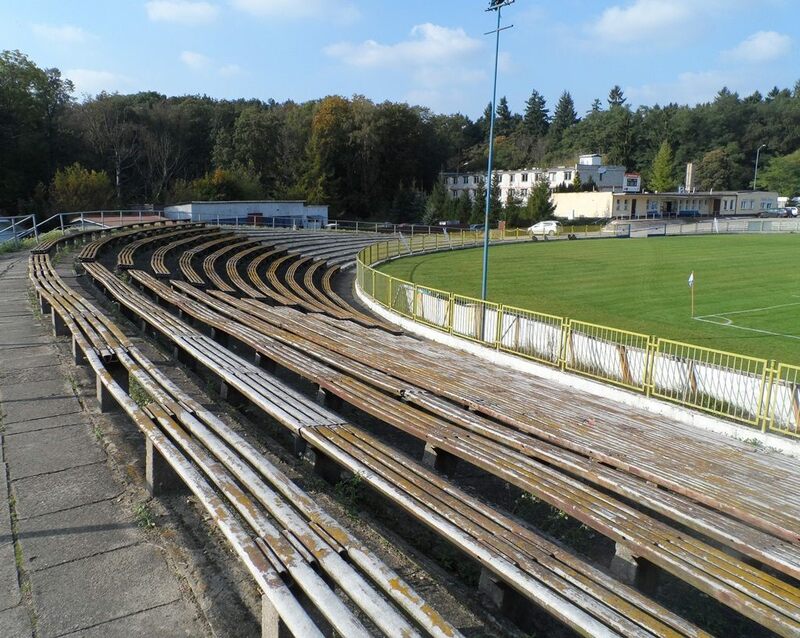 However, only 1,000 of this capacity are individual seats, the remainder being rotten benches. 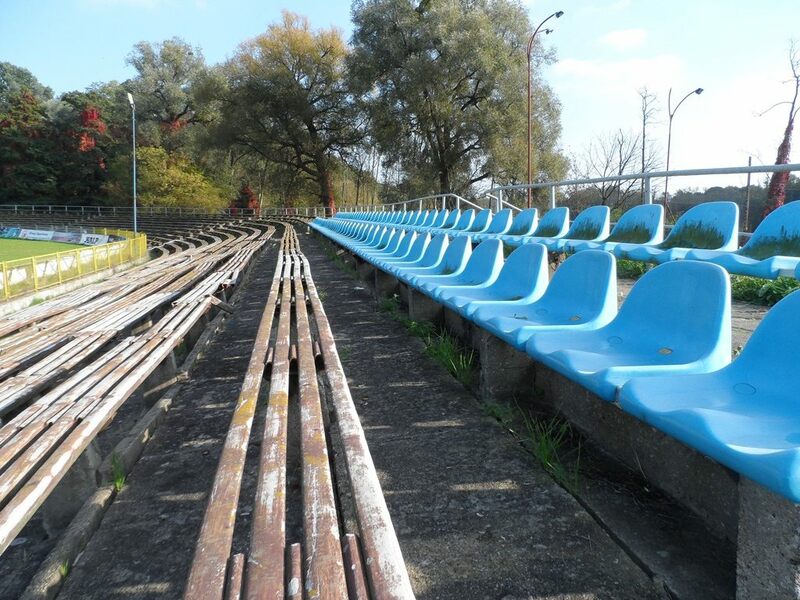 Current poor state of the facility is caused by the downfall of Arkonia, who saw they heyday in 1960s and failed to return to glory since. Current needs of the club cannot match the size of this stadium.